Upstate AHEC Executive Director Fay Brown will be stepping down this spring after nearly five years of service to the AHEC system. During her time as executive director, Fay has guided Upstate AHEC to many notable accomplishments. Although the introduction of online continuing education capability was initiated by Candace Luciano, the former Upstate AHEC Center Director, Fay shepherded an era of unprecedented access through the AHEC U platform to quality online enduring professional development opportunities. AHEC U saw a 35 percent increase in participation during this past year alone. Fay was also instrumental in designing and overseeing the acquisition of the new Upstate AHEC office building and its state-of-the-art classroom. She also facilitated the involvement of the South Carolina AHEC in the introduction and implementation of the DHHS-sponsored Community Health Worker Program. Fay and her husband will be returning to her hometown of Nashville so they can be closer to their daughter and her family. Fay has been an integral member of our South Carolina AHEC family and will be missed! With Fay’s departure, the Upstate Area Health Education Center (AHEC), a 501c3 healthcare-related organization located in Greenville, SC, seeks an experienced and innovative executive director with proven leadership skills in program growth and development, strategic planning, and personnel and financial management. Ideal candidates will have knowledge of the healthcare field and a minimum of five years' experience in non-profit or corporate management, a minimum of a master's degree or equivalent experience in executive management, healthcare or a related field (for a full position description, click here). Candidates should submit a resumé, cover letter and three professional references, with at least one from a former supervisor. Email application materials to fbrown@upstateahec.org no later than March 4. No phone calls please. Applications will be considered when submitted and the position may be filled prior to the deadline date. The 2015 South Carolina AHEC Annual Report is now available online. 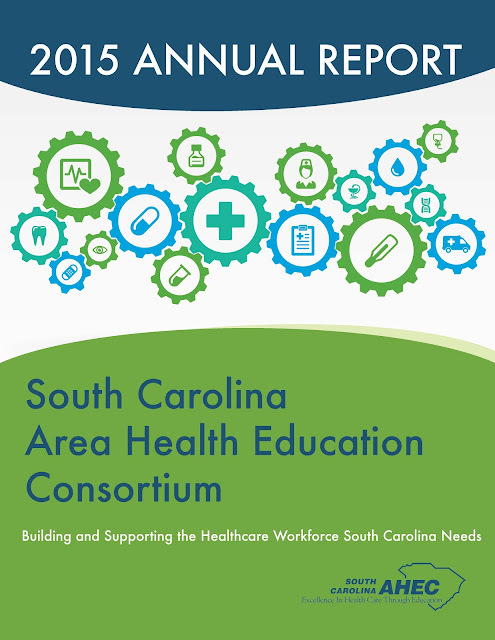 The report highlights the accomplishments of the South Carolina AHEC system during the past year and features notable achievements that address the healthcare workforce needs of our state. 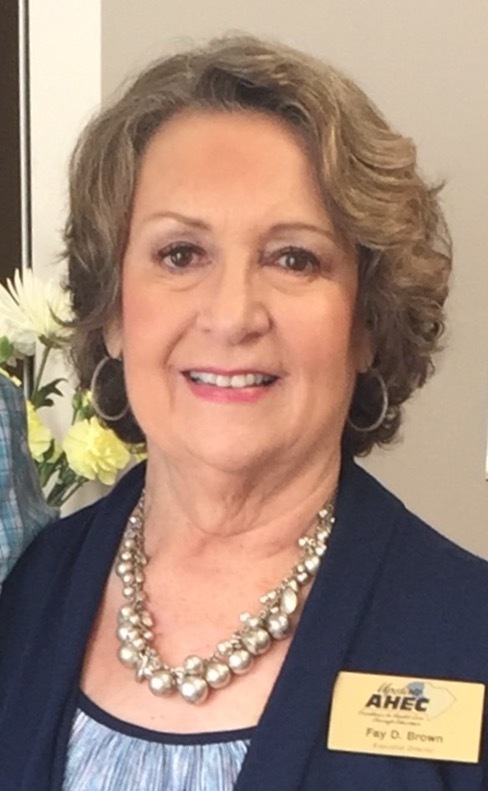 Cathie Storey, Coordinator of Health Services for the School District of Greenville County, has been named South Carolina Nurse Administrator of the Year by the South Carolina Department of Health and Environmental Control and the South Carolina Department of Education. 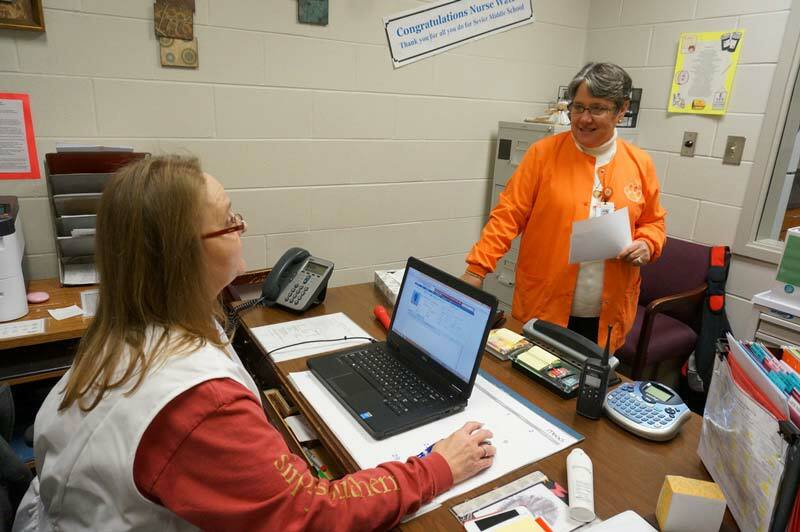 Mrs. Storey, who has a bachelor’s degree in nursing from Clemson University, coordinates health services for more than 90 schools and supervises 150 school nurses who provide services to Greenville County Schools’ 76,000 students. Under her leadership, the district has reached the national average of one nurse for every 750 students. She played an integral role in securing a much-needed pay increase for nurses, and two years ago she hired four floating nurses to help cover schools when nurses are absent. One of her greatest contributions to school nurses is the implementation of Health Office, a computer program that allows nurses to manage information and to document student illnesses safely, confidently, and quickly. Pee Dee AHEC Health Professions Students (HPS) coordinators will be working with McLeod Family Medicine Residency Program to present educational sessions to HPS students from various disciplines in 2016. HPS students who are in the area for clinical rotations will be invited to participate in interprofessional learning opportunities. Pee Dee AHEC will lead team building activities, teach concepts of interprofessionalism and provide information on a variety of healthcare topics. For any HPS student in the Pee Dee region unable to attend these sessions in person, the coordinators invite them to participate through videoconferencing technology. They can use the videoconference system to interact during the discussions with other students and presenters. For students rotating in the Pee Dee region who are interested in attending, please contact Kam Richardson or Traci Coward, Pee Dee AHEC HPS Program Coordinators, at krichard@mcleodhealth.org or tcoward@mcleodhealth.org for more information.